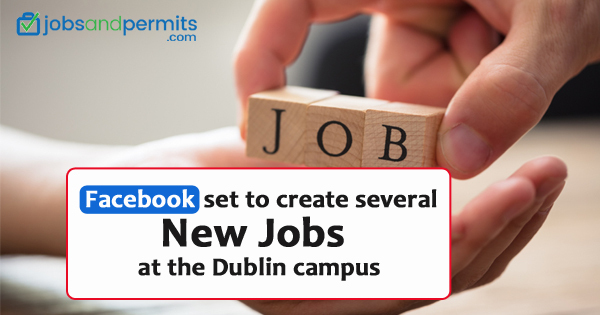 Facebook has made a major investment announcement in Ireland which will create 1,000 fresh jobs in the present year. There is a schedule to scatter the jobs in 60 teams involving engineering, sales, and marketing. The team to see the major expansion after this announcement will be moderation and content policy. Sheryl Sandberg, CEO Facebook was talking at the Facebook Gather Conference, stated that this focus was a major priority for the company to address the security and safety concerns of its users. Additionally, there is a commitment to clean up the fake accounts and false news; and also to strengthen the defense against interference in elections. Furthermore, there is a stress to be transparent in operations and making decisions, and also making itself accountable publicly. Ms. Sandberg asserted the commitment to the operations of Facebook in Ireland. These are the largest outside California. She also announced a €1 million investment National Anti-Bullying Centre in Ireland while paying a visit to the campus of the Dublin City University. This investment is large in Ireland as well as in Europe. She also had a conversation with parents and teachers regarding plans of the company to create online safety resources with teenagers in the mind. There will be a partnership with SpunOut.ie and also there is a plan to train teachers to educate schools regarding all aspects of cyber bullying. Ms. Sandberg also added that one cannot completely stop the bad things from happening. The company also has a firm commitment to put in the work and also make important investments, even when the cost has a huge impact. Keeping the children safe is an important responsibility in Facebook. Gareth Lambe, Facebook Head in Ireland, Commented that this measure will help in having training programs for the teacher. Additionally, this will help many schools to understand and identify online bullying. The safety tools developed in combination with the Anti-Bullying Centre at Dublin Successfully will be used worldwide by 2.2 billion users of Facebook. There will be good work for the center’s agenda and through this Irish initiative we can roll out good practice. In November 2018, the company had announced regarding agreeing for terms to lease a 14-acre Bank center campus in Ballsbridge. The aim was to allow adding 5,000 staff to the Irish operations in the future. Totally this campus will accommodate 7,000 employees. The first group of staff will move there in April next year. Finally, Facebook has a plan to relocate 2,200 staff from its Grand Canal Square building.